AP TS Baseline Pre Test Question Papers 3rd, 4th, 5th Telugu, English, Maths 3Rs Programme -Children Achievement Level Test(CALT), TS AP Badi Bata Baseline Test 2017 3rd, 4th, 5th Telugu, English, Maths Question Papers in Telangana. 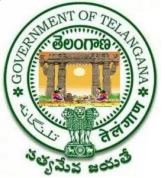 Telangana Readiness Programme Schedule and Time Table in Telangana by TSSA. Readiness Program Module , Pre Test and Post Test Question Papers Class wise Download. LEP 3RS Programme implemention guidelines in Telangana Primary and UP Schools. Telangana SSA School Readiness for 1st class Students and Class Readiness Program for 2nd Class to 8th Class Students Academic year 2017-18. School readiness program and Class Readiness Program for 1st Class from 15th June to 30 June, 2017. TSSA officials has given detailed guidelines for effective implementation of this program in all PS, UP Schools and School Readiness and Class Readiness Material has been sent to the all schools. Morning session: (pre lunch session) Includes Action Rhymes, conversations (muchchatlu), Stories, Creativity, Rhymes, Additional activities and games. Afternoon session: Early literacy and early mathematics as mandated by GOI under the name “Padhe Bharath Bade Bharath” shall be taught in an innovative method. The method of teaching should encourage the students to develop their cognitive abilities. Resource material: A programme sheet, a booklet of 20 pages with transactional material, Radio. 1. To make children of classes II to VIII to learn pre-requisite skills in all the curricular subjects necessary for the entry of the promoted class. For Primary sections, the focus will be on Telugu, Maths and English. In case of Upper Primary sections, the focus will be on all curricular subjects. 2.To revisit the concepts, recap the learning of the previous academic year which is mentioned in the school syllabus and teachers handbooks designed by SCERT. 3.To impart the basic skills for those children who are lacking such as Reading, Writing and simple arithmetic i.e. 3-R's. 2. As per the learning levels of the children, in each class the children are divided into following three groups. Group-A (15th June-30th June, 2016): In this group, those children included who have the knowledge of requisite concepts and skills, who need revision or recap of the concepts learnt earlier in the previous class. Group-B (15th June to 15th July, 2016): In this group, those children included who lack basic concepts or requisite concepts or skills are offered remedial teaching and the support for learning these essential concepts which enables them to transit smoothly into the new. entry class. Group-C (15th June to 15th August, 2016): In this group those children included who lack basic competencies such as Reading, Writing and simple Arithmetic are subjected to rigorous coaching by the teachers within the school hours and extended hours for a period of two months. A base line test which will be in the diagnostic form (Pre-test) shall be conducted in the specified subjects on 15th June, 2016 for classes II to VIII. The aim of the test is to identify the basic concepts and skills in which the children are lacking that standard as impediment for further learning. Respective subject teachers and class teachers will prepare the test items and conducts the tests. By 16th June, 2016, the teachers will evaluate the answer scripts and identifies the child wise learning difficulties and categorizes the children into different groupings. Accordingly the teacher conducts remedial teaching through individual teaching, group teaching and peer interaction. For the above said days, the class readiness programme for classes II to V, will takes place in the morning session i.e., remedial instruction, practice work and in the afternoon session regular classes will be conducted. In case of class VI to VIII, in the regular time table certain specific periods for specified subject, remedial instructions have to be carried out. At the end of the programme on the last day, the children will undergo post test using the same question paper used in the base line test. Day wise time table with details of topics to be covered are given. Hence, the printed module supplied to the school earlier, shall be used during the programme. The workbooks used for summer camps last year, the Snehabala cards, Easy English cards, library books and other available material shall be used for revision, concept reinforcement and for remedial teaching. Guidelines for conduct of School Readiness and Class Readiness programme is annexed in these proceedings. These guidelines shall be communicated to MEOs in turn to communicate the same to Schools, which helps to implement the school readiness and class readiness programme in smooth manner. The guidelines and proceedings shall also be kept in official District website and blog and inform all the school HMs to access these materials. (a) Conduct of School Readiness programme for Class-I children and CWSN of IERCs from 15th June to 30th July, 2016. (b) Conduct of Class Readiness programme for the children of classes II to VIII from 15th June onwards. i. 15th -30th June,2016: Revision/ Revisit/Recap of important concepts/skills of previous class. ii . 15th June to 15th July, 2016: Teaching of basic concepts/skills for those children who lack them. iii. 15th June, to 14th August, 2016: Teaching of 3 R's i.e Reading. Writing and simple Arithmetic for those children who lack 3-R's. iv. Make arrangements in the schools for the Radio programme through AIR for 15 min every day for six weeks targeting the children of class-I and II, broad casting rhymes, stories, conversations from 20-06-2016 onwards. v. The eligible CwSN who attained minimum level to be mainstreamed in to PS & UPS from 1st August to 14th August 2016 in a phased manner. Further the DEOs and POs of SSA are instructed to take necessary steps in implementation of said academic programmes in the schools and constitute the monitoring teams at district level for effective implementation and send compliance report to the SPD.